It"s Saturday, March 16, at The Wine Cabinet! Well, the weather turned a touch cooler last night after the wind and rain blew through. Feels a bit more like March! No worries, we have some wines and beers to warm you nicely from a good Irishman, Campbell it is! Speaking of Irishmen - if you been watching The Players Championship, you know that an Englishman and an Irishman are topping the leaderboard after the second round. 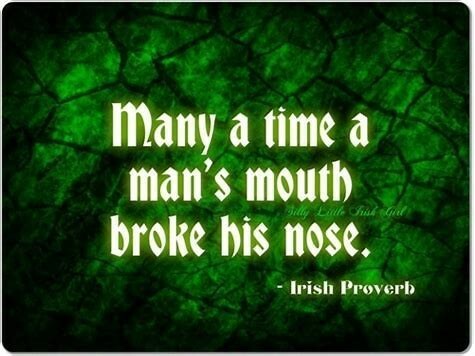 And wouldn"t it be perfectly appropriate if Rory McIlroy won it all on St. Patrick"s Day? And don"t be asking what wine goes with Irish food - they all do!! 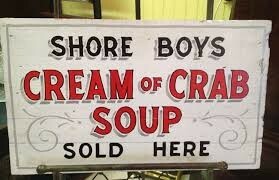 As well as whiskey and Stouts of all varieties. So pick what you like and make sure you"re wearing the green when you do! The flavor profile is bright, and crisp – like unoaked Chardonnays – while the mouthfeel is creamy and round – like other oaked counterparts. The proof is in the drinking! "The Hoopla Unoaked Napa Valley Chardonnay rocked! 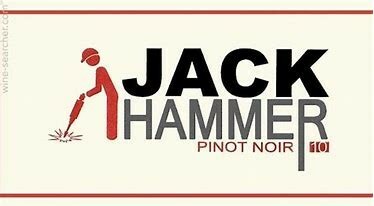 Hands down this is one of the best labels; dog lovers and wine aficionados seem to be symbiotic." 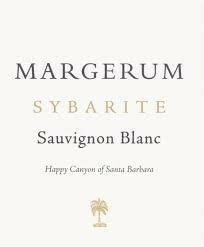 Sourced from Monterey, San Luis, and Santa Barbara counties, this wine has a dark ruby color with a great nose of cherry, cola, and a wonder floral component. Flavors of cherry, cola, plum, herb, are intermixed with lovely acid to keep it fresh, lively and not too heavy. The 2015 Sexual Chocolate is pure hedonism in a bottle, but crafted with great care and consideration toward quality. Ripe, dark fruit with a long, smooth finish. Having made the blend for nearly ten years, winemaker Brandon Allen has developed just the right formula for a wine that delivers loads of flavor for a value. 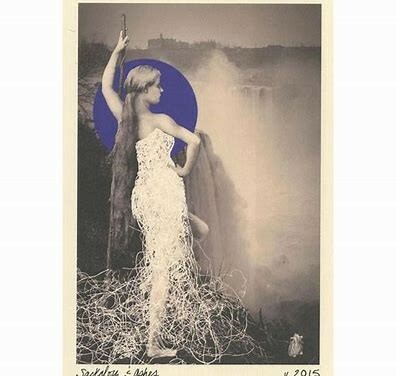 At it’s core Sackcloth & Ashes is the gestalt of this cellar. This is the blend they look forward to making most each year. They pull from their favorite barrels regardless of the style, in the attempt to make a wine of singular character and expression. This is the tête de cuvée. ALCOHOL: 15.6% Alc by Vol. TASTING NOTES: In the meadow a lightning struck birch is burning slowly, like the earth were smoking a sweet cigar. Map in hand you approach the tree, the scented steam rises off it—chocolate mint, alpine herbs, candy cap mushrooms and sel grez. The bark is soft and tastes of black currant jam and the rust of the sword of Charlemagne, which you free from the roots. 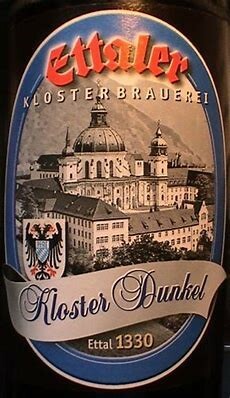 Dunkel, or Dunkles, is a word used for several types of dark German lager. Dunkel is the German word meaning dark, and dunkel beers typically range in color from amber to dark reddish brown. They are characterized by their smooth malty flavor. Aroma is malty with bread crust, dark rye bread and a hint of caramel. Taste is mostly malty, slightly nutty with a touch of hop bitterness on the finish. Light body, medium plus carbonation. Overall it"s a really well made dunkel. 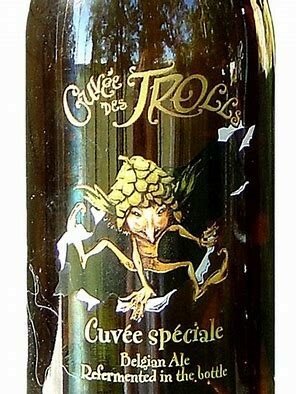 Cuvée des Trolls has been brewed for 10 years now and is established as a premium beer, a resounding success with nothing left to prove. The latest creation from the Dubuisson brewery, it has won the hearts of beer lovers and aficionados alike, becoming even more famous than its siblings from the same brewery, the Bush range of beers! As a token of gratitude for this success and to thank their many fans, the Dubuisson brewery’s new arrival is bottle conditioned in a magnificent silk-screen printed bottle! This refermentation process , gives Cuvée des Trolls even greater finesse and fruity aromas. Don"t miss this little gem, because it"s the kind of vintage that you only find once in every 10 years! 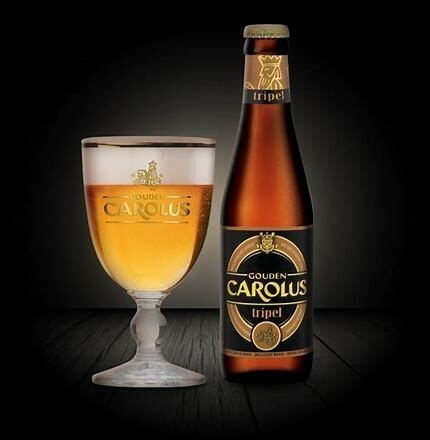 Enjoy your Cuvée Spéciale in a Cuvée des Trolls glass, available in 25cl and 50cl! Pours pale golden, with lots of white foamy head that left lots of foamy lacing - almost like Orval. Nose is yeast and sweet fruit. I slurped some of the head and it was quite bitter, but the beer itself is only slightly bitter, but yeasty, and a bit fruity.